The mission of Forsyth Central High School is to lead students to become healthy and productive American citizens who will solve problems, communicate effectively, and serve selflessly. ...teachers are empowered to lead. Originally named Forsyth County High, Forsyth Central opened in 1955 with 429 students. At that time, it was the only high school in Forsyth County. Since then, 23 renovations and additions have been completed on the campus, including adding the original Otwell Middle school building to the high school’s campus and renovations in the summer of 2011 for the STEM Academy. The school’s first principal was Mr. Clarence Lambert. 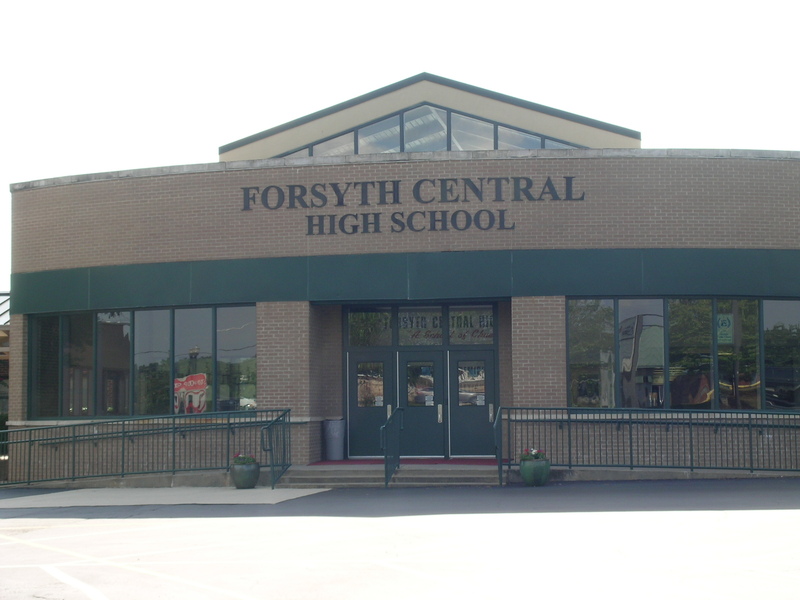 With the opening of the South Forsyth and North Forsyth high schools, the name of the school was changed to Forsyth Central High School (1989). Forsyth County was named for John Forsyth, Governor of Georgia from 1827-29 and Secretary of State under Presidents Andrew Jackson and Martin Van Buren.